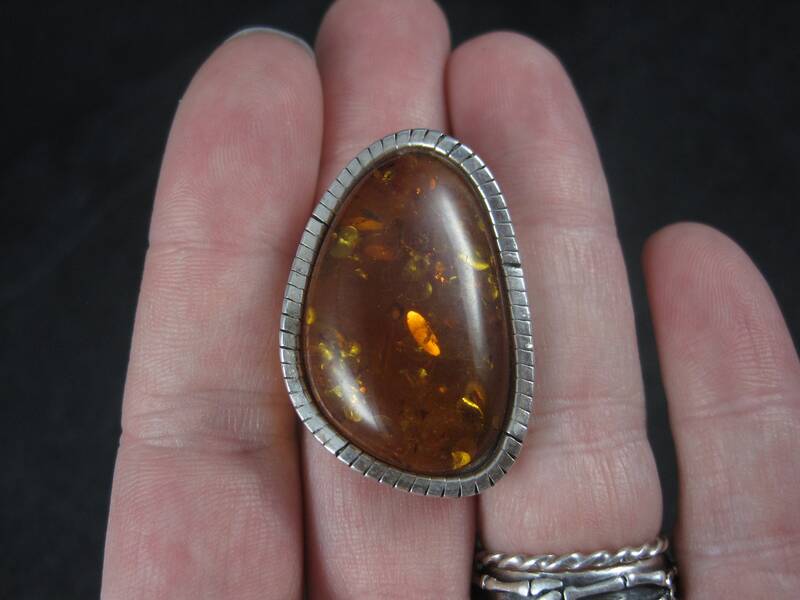 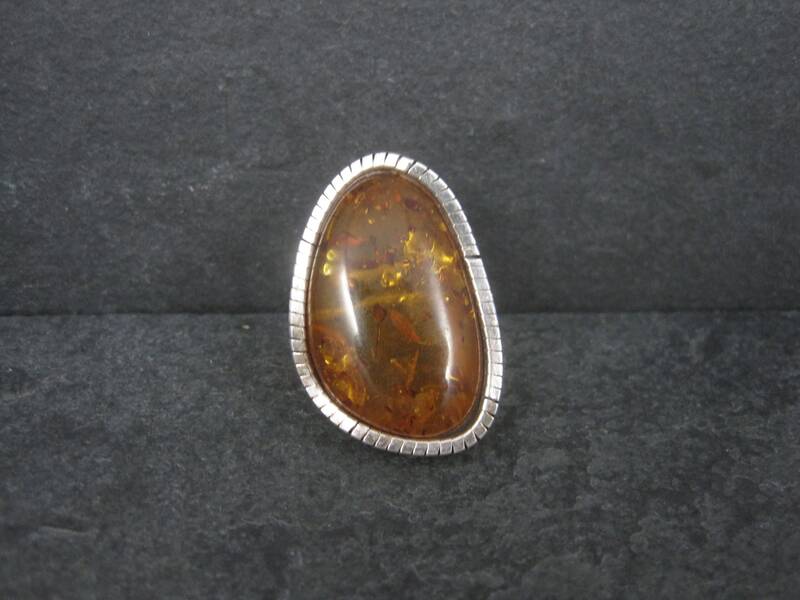 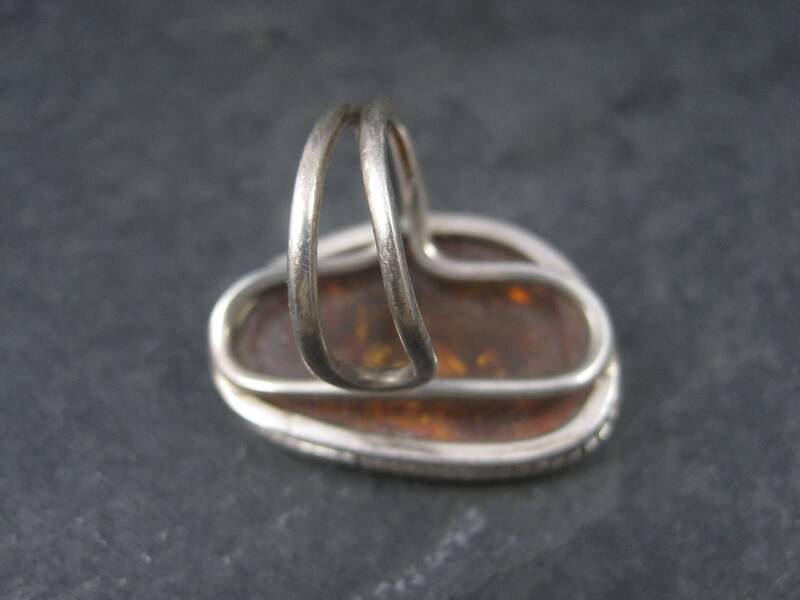 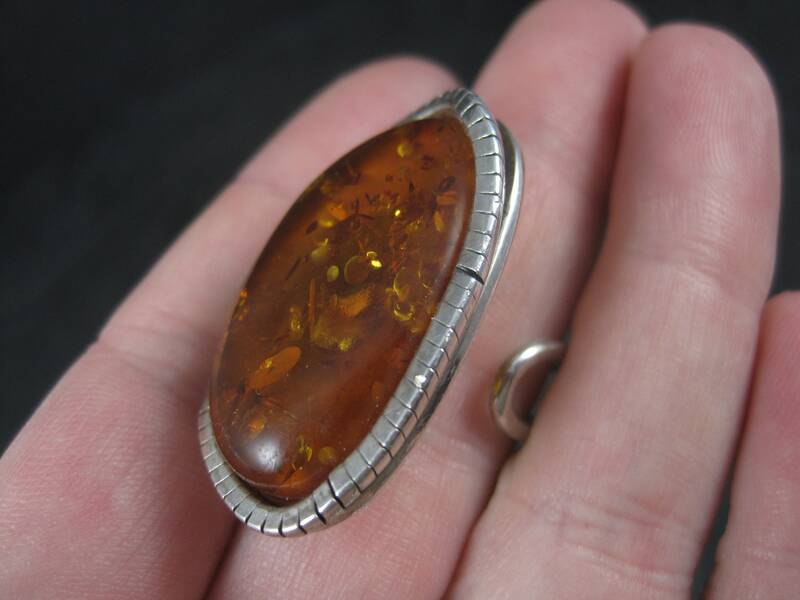 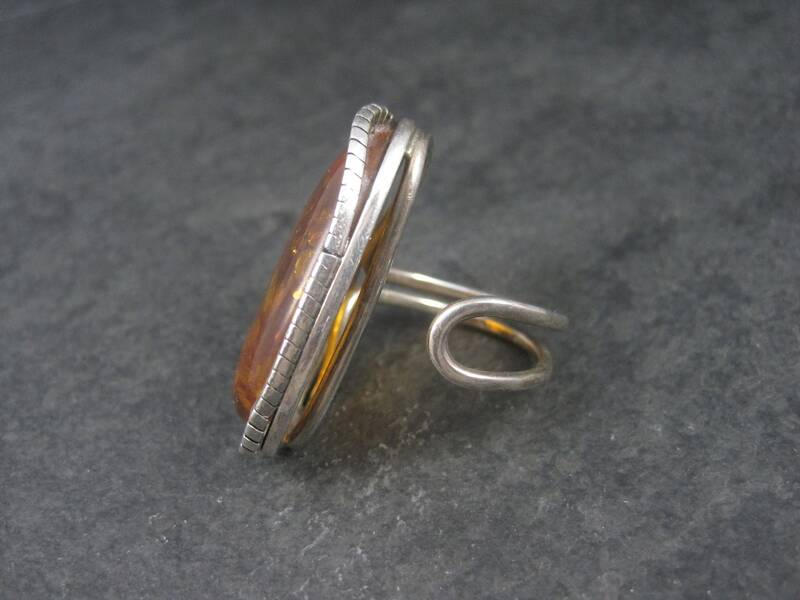 This beautiful mod amber ring is sterling silver. 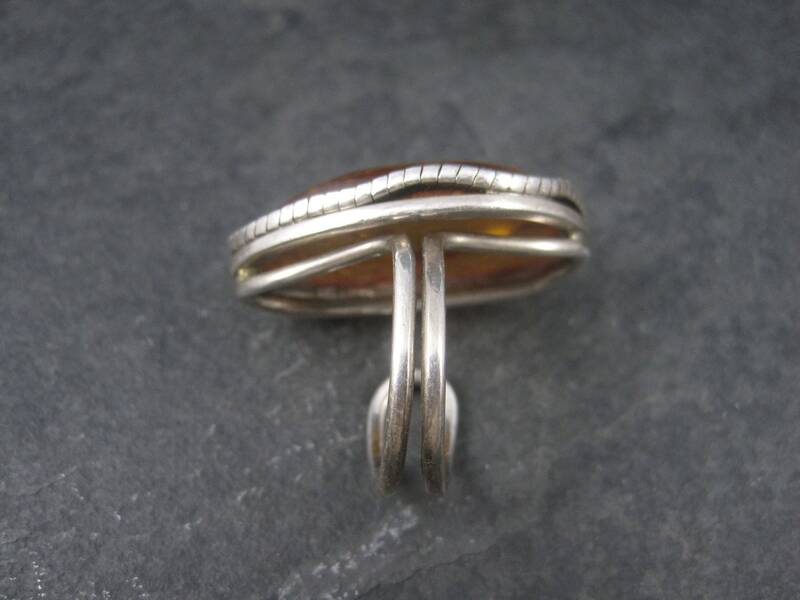 The face of this ring measures 15/16 of an inch east to west and 1 3/8 inches north to south. 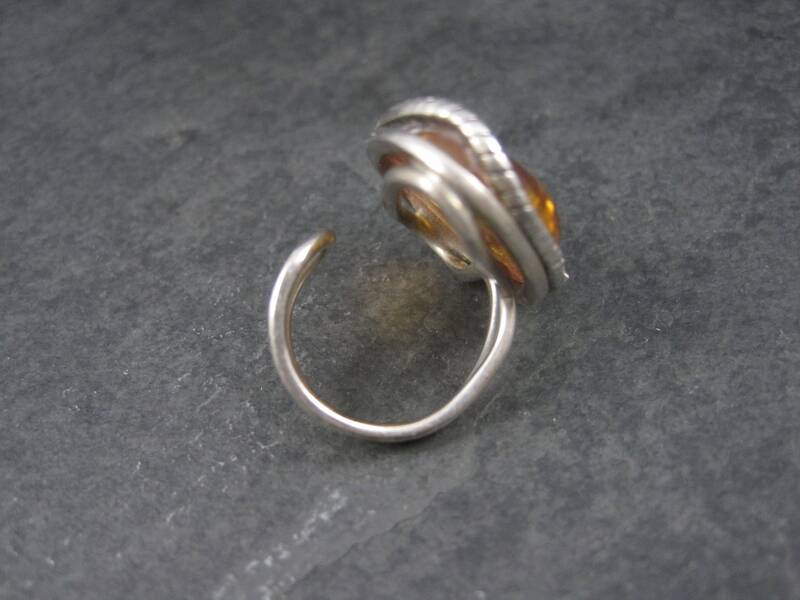 Size: Currently a size 8 but adjustable both up and down by a couple of sizes.